In 1986 Bernadette Cleary was asked for help by a friend whose 12-year-old daughter had terminal cancer. Rachel wanted to die at home, not in the hospital. “I was there to offer emotional support and comfort mother and daughter as they made their final journey. Word got out, and within months, I had more requests for help than I could ever cover on my own. Friends and family supported me tirelessly and I travelled across the country, trying to help as many families as I could,” remembers Bernadette. She set up in her kitchen but soon outgrew the space and so moved to the shed at the bottom of the garden in 1988. Bernadette raised money needed to fund the training of Family Support Workers to help families like Rachel’s at their time of greatest need and from this, Rainbow Trust Children’s Charity was born. From these humble beginning 30 years ago, Rainbow Trust has grown significantly. We now support over 1,900 families across the country through nine teams of Family Support Workers. We are almost entirely funded by public generosity and currently raise £5.1m a year. In 30 years, our name and our mission has never changed. 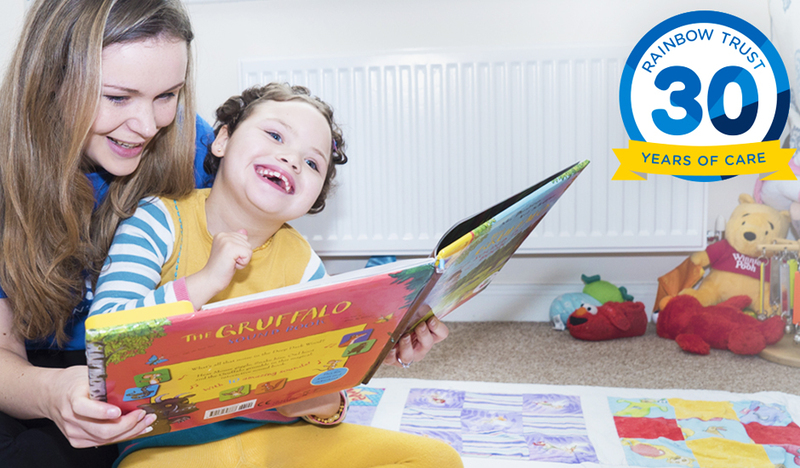 We believe that every family coping with the care of a child with a life threatening or terminal illness should have the support they need from a Rainbow Trust carer. Our Family Support Workers are there for all the family and offer help and support in whatever way is needed, whether that be taking siblings to school or taking mum and child to hospital. We have established drop-in groups, sibling support services and in the past year, neonatal support and specialist support for children with cardiac conditions. We are there for families from diagnosis, through treatment and beyond for as long as a family needs us. That will never change. We look forward to a full programme of events and celebrations throughout our 30th year.